I am from a family of entrepreneurs. My granddad would travel around Brazil buying and selling land whereas my grandmother would be left to fend to herself and their 9 children. She would produce and sell hand made biscuits in the market. A production line that would involve all the children and close relatives. The second generation was a bit more ‘cautious’ and half of them got jobs whereas the other half started their own businesses some very successful, others not so much. When I was 14 I read ‘Rich Dad Poor Dad’ by Robert Kiyosaki and it made total sense to me and I knew then that I was meant to have my own business some day. I had always been fascinated with money since quite little as very early I noticed what an useful tool it was and that I could get lots of sweets with it! I went around the houses a bit trying to find my passion. I studied Architecture, Business Administration and finally moved to Accounting and Finances. Now I help female entrepreneurs to be in control of their business money and create a profit strategy so they can reach their financial goals, things like paying themselves and being able to contribute to their family dreams. However, I didn’t start my business straight away. I went to work for the Science Museum in London first and after that in two International Development Consultancies. Having worked all my corporate career producing accounting for management I was really surprised when I realised that there was no such a thing for small businesses. That small business owners would see their accountant couple of times a year for their tax returns and that most of them would not have the answer to the above question! And because I know the power of having access to that information, your key business figures, in terms of having a powerful strategy, having great insights and being able to make wiser decisions I made my mission educate women, specially mums in what they need to know in order to understand their business figures like a CEO. When my husband and I got married we were totally broke. I am Brazilian and just before we got married I changed my visa from a student visa (that allowed me to work part time) to a fiance visa (where I was not allowed to work until after I got married). So when we got married we were living on my husband’s salary, bearing in mind that we had to spend lots of money in a (small) wedding and a spouse visa (which cost a small fortune). I always liked budgeting so I started creating budgets to make sure we would be able to pay for all our bills. We were always really careful and really concerned about running out of money. Recently one of my clients wrote a comment in one of my posts, she mentioned that before working with me no matter how much she made there was never enough and after working with me there is always enough. I believe that money it as a tool that fuels businesses flowing in and out and my job is to make sure I (and my clients) keep some of it. Yes, I guess am still a bit fascinated by money. 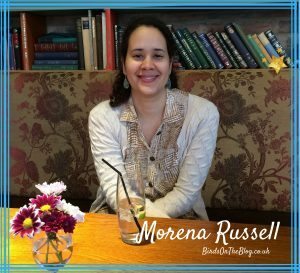 Morena Russell is a Profit Strategist and she helps mums entrepreneurs to create the structures and systems in their business so they can hit their financial goals month in and month out. Get my free report: "5 Mistakes Eating Your Profits Now & How to avoid them"!